1. 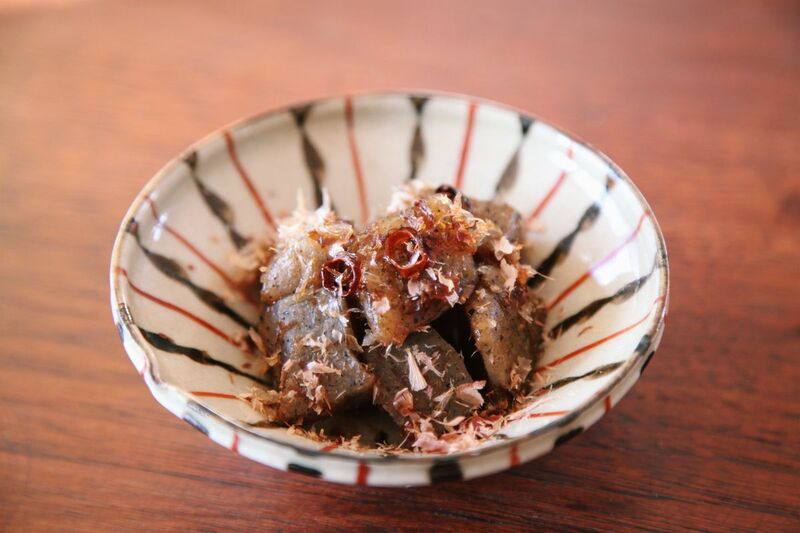 Cut konnyaku with a spoon into small pieces. 2. Heat sesame oil in a pan and sautée the takanotsume and konnyaku for 2-3 min. 3. Add the sake, sugar, soy sauce. 4. Sprinkle on the bonito flakes and mix together.